Incorporated in 2000, dabl is an Irish company with global headquarters in Dublin, Ireland. The dabl system, designed and developed in close collaboration with leading experts in blood pressure measurement and cardiology, is the gold standard for Clinical Trials worldwide. We have proven experience in all aspects of ABPM Monitoring for Clinical Trials and our statisticians and technicians can provide consultative support from protocol development through to analysis of results, for Phase I-IV single and multi-site clinical trials. dabl Quality Management System is ISO 9001:2015 certified. dabl software system is compliant with FDA 21 CFR Part 11 and EU GMP Annex 11 requirements. 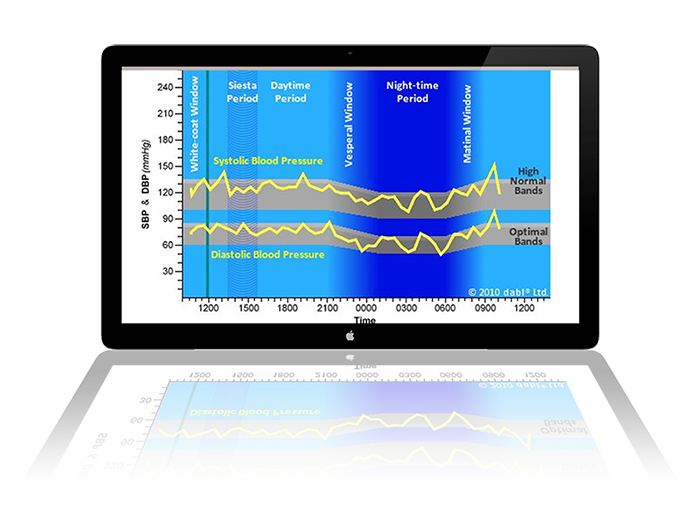 The dabl systems offers advanced & highly cost effective solutions for the collection and automatic validation of Blood Pressure results in multi-site Clincal Trials. Our online systems are configured to the protocol of each study.